After repeated delays since the summer of 2011, the Tokyo Electric Power Company has launched a high-risk operation to empty the spent-fuel pool atop Reactor 4 at the Dai-ichi (No.1) Fukushima Nuclear Power Plant. Despite the looming threat to residents in Fukushima , surrounding provinces and the capital Tokyo , the office of Prime Minister Shinzo Abe along with TEPCO hews to the tradition of risk denial and blackout of vital information. 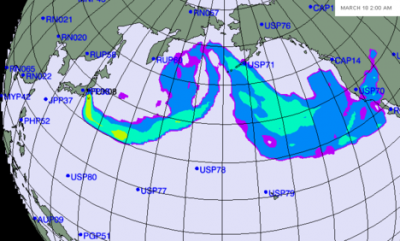 No contingency plan has been issued to Fukushima residents or to the municipalities of the Tohoku and Kanto region in event of a nuclear disaster during the SFP clearance effort. A concurrent drive to impose a draconian law against whistleblowers on grounds of national security is reinforcing the cover-up of data and testimony related to nuclear power plants, including the Fukushima complex. A Mainichi Shimbun editorial mentions in passing that the Reactor 4 pool contains 202 fresh fuel assemblies. (3) The presence of new fuel rods was confirmed in the TEPCO press release, which described the first assembly lifted into the transfer cask as an “un-irradiated fuel rod.” Why were new rods being stored inside a spent-fuel pool, which is designed to hold expended rods? What threat of criticality do these fresh rods pose if the steel frame collapses or if crane operators drop one by accident onto other assemblies, as opposed to a spent rod? Another break came in April 2012, when a Japanese humor magazine published a brief interview of a Fukushima worker who disclosed that radioactive pieces of a broken shroud were left inside a device-storage pool at rooftop level behind the Reactor 4 spent-fuel pool. (6) This undoubtedly is the used shroud removed by the GE-H workers in February-March 2011. A curious point here is that the previous shroud had been in use for only 15 months. Why would TEPCO and the Japanese government expend an enormous sum on a new lining when the existing one was still good for many years of service? Obviously, the installation of a new shroud was not a mere replacement of a worn predecessor. It was an upgrade. The refit of Reactor 4 was, therefore, similar to the 2010 conversion of Reactor 3 to pluthermal or MOX fuel. The same model of GE Mark 1 reactor was being revamped to burn MOX fuel (mixed oxide of uranium and plutonium). The un-irradiated rods inside the Unit 4 spent-fuel pool are, in all probability, made of a new type of MOX fuel containing highly enriched plutonium. If the frame collapses, triggering fire or explosion inside the spent-fuel pool, the plutonium would pulse powerful neutron bursts that may well possibly ignite distant nuclear power plants, starting with the Fukushima No.2 plant, 10 kilometers to the south. The scenario of a serial chain reaction blasting apart nuclear plants along the Pacific Coast, is what compelled Naoto Kan, prime minister at the time of the 311 disaster, to contemplate the mass evacuation of 50 million residents (a third of the national population) from the Tohoku region and the Greater Tokyo metropolitan region to distant points southwest. (7) Evacuation would be impeded by the scale and intensity of multiple reactor explosions, which would shut down all transport systems, telecommunications and trap most residents. Tens of millions would die horribly in numbers topping all disasters of history combined. Soon after the Reactor 3 blast, an explosion occurred on the roofline of Reactor 4, blowing two 8-meter-wide holes through the outer wall. Although tattered, the spent-fuel pool survived the nearby explosion along with the device-storage pool containing the shroud. Photos of the building show holes and damage to a large section of walls and roof slabs on the northeast side of the upper structure (opposite the spent-fuel pool. Hydrogen gas, despite its high combustive energy per kilogram, lacks sufficient density to inflict such damage to reinforced concrete, as would a carbon-bonded gas like acetylene. A logical deduction then is that a cask of new fuel rods left on the roof during the GE-H refit was ignited by neutrons emitted from the SPF fire. As for the spent-fuel pool, the first blaze broke out on March 14 and died down after several hours. On the following day, the pool reignited and had to be extinguished by firefighters. The nagging question is why the raging fires burned so long, since much of the hydrogen was dissolved in the remaining water at the bottom of the pool or would have burned off within a few seconds. While TEPCO conjectured that hydrogen gas pumped from Reactor 3 to 4, that scenario is a long stretch since most of the volatile gas would dissipated before arrival or ignited along the way. An alternative possibility is of a tritium-plutonium reaction creating gas plasma inside the spent fuel pool. The condition of the cladding on the rods, which would have been melted by plasma, can indicate the heat source during those two fires. None dare mention are tritium-plutonium inter-reaction because that is the formula for a thermonuclear bomb, that is, the H-bomb. MOX fuel does have the potential to generate sufficient tritium for a thermonuclear, and that is what so rattled Naoto Kan by March 12, 2011. In July 2012, inside the exclusion zone about 14 kilometers south of Fukushima No.1 plant, I had a discussion with a manager with a major construction contractor, whose large team was working at the damaged nuclear facilities. The civil engineer said that the Reactor 4 building was of serious concern because the structure was split, with the halves leaning onto each other. He added that the tilt indicates “structural damage” to the ferroconcrete foundation. Even a 9.0 earthquake could not cleave the strong footing, he stressed. When asked about what then could crack the foundation, the manager responded: “I am a civil engineer, not a nuclear expert.” Nudged a bit more, he implied that a meltdown of nuclear fuel may have seared through the concrete. The intense heat can reconvert concrete into loose hydrated lime powder and sand, while cutting through rebar steel like a hot knife through butter. The upgrade of the Reactor 4 shroud may well have involved the test-fitting of some MOX rods, which abandoned on the floor next to the reactor when the tsunami reached shore. In other words, in early March 2011 crane operators completely filled space inside the spent-fuel pool with new MOX rods and then simply left casks of assemblies on the roof and lowered more into the basement. That is the simplest explanation for the damage to the structural integrity of the reactor building. GE is not about to disclose its role in this disaster. Yoichi Shimatsu, former editor of the Japan Times Weekly in Tokyo, conducts independent radiation measurements and dispenses herbal therapy to local residents on his 10 journeys since May 2011 into the 20-kilometer Fukushima exclusion zone. Former Ambassador Mitsuhei Murata, quoted by the Asahi Shimbun, “Doomsday scenarios spread about No.4 Reactor at Fukushima plant” 10 May 2012. Datsutte-miru magazine, Interview of a Fukushima worker by Oshidori Mako, April 15, 2012.